Believe or not, many bathrooms have carpet as the flooring material. With water from the vanity and showers, wet carpets become normal which ruins the carpet quickly. Water also gets underneath the carpet and starts to rot the sub-floors. Replacing carpeting in bathrooms with ceramic tiles is a common project. It creates a hard and durable surface that also is much more suitable for water on the floors. Remove the existing carpet and padding. You also need to shut the water off to the toilet and disconnect the toilet from the floor mounting. Then you should prep the subfloor with the appropriate material based on the type of tile you selected. After laying the tile, install the grout between all the tiles. 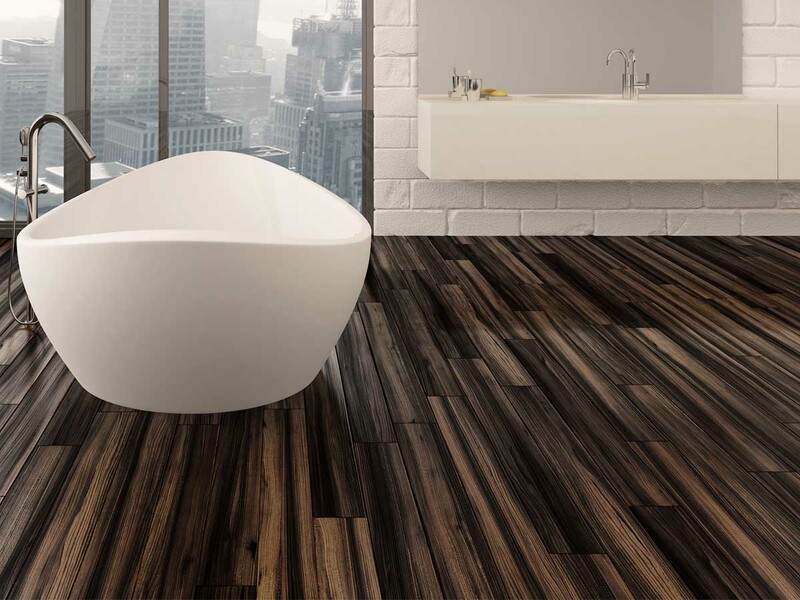 Once you are done, you can reinstall the toilet and you now have a new look floor in the bathroom. Here is a video from Home Depot on installing small tiles attached to mesh.